The Minister for Small Business visited Milton Keynes to meet businesses and find out first-hand what the opportunities and challenges are for local entrepreneurs. The ministerial visit, hosted by the South East Midlands Local Enterprise Partnership (SEMLEP) and Velocity, saw Rt Hon Anna Soubry MP, Minister for Small Business, Industry and Enterprise, visit Niftylift in Milton Keynes, one of the world’s leading manufacturers of mobile elevated work platforms. At Niftylift’s Shenley Wood-based headquarters the Minister met more than 30 local businesses, including Milton Keynes companies supported by Velocity Growth Hub and local members of the Women in Enterprise programme. Roger Bowden, Chair of Niftylift, and the Leader of Milton Keynes Council, Cllr Pete Marland, also welcomed the Minister to the event. The Minister took the opportunity to meet and speak to the many local companies invited to the event by SEMLEP, including ones which have been supported by Velocity Growth Hub this year. 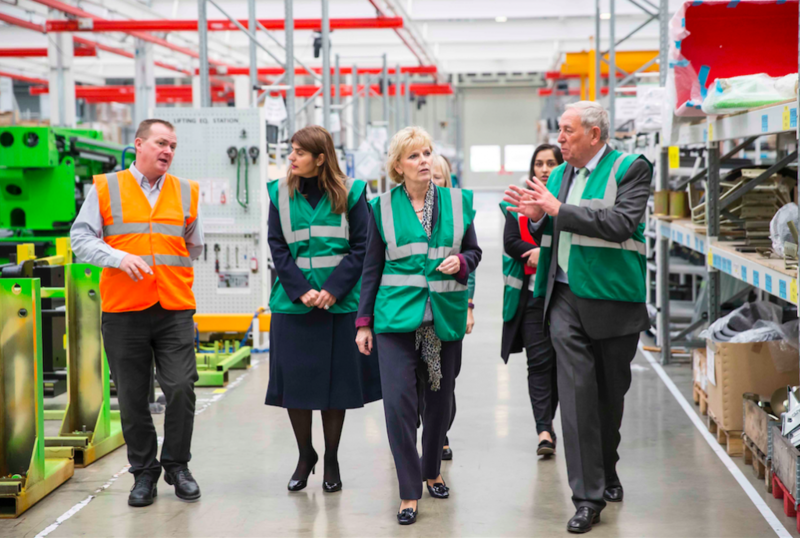 Business Minister Anna Soubry said: “Today has been a great opportunity to meet local business owners and see how Velocity Growth Hub is helping them to expand. In the Centre for Cities 2015 report Milton Keynes was, for the sixth year running, unveiled as the country’s top city for job growth, with 24,000 new jobs created in the city between 2004 and 2013.